WHAT’S HAPPENING THIS WEEK IN AGNES WATER 1770? First things first… CALL INTO THE DISCOVER 1770 SHOP and get your FREE map and your discount voucher. Talk to our lovely and attentive staff at Discover 1770 to find out what’s happening this week in Agnes Water and Town of 1770, to buy souvenirs and gifts, book your tours (local and Australia-wide!) and for all your holiday needs including towels, hats, sunscreen, rashies (sun shirts), bike hire, snorkelling equipment, beach toys, beachwear, body boards and so much more!! Ask us about kayak, SUP & surfboard hire, too. The Discover 1770 Shop is conveniently located next to the Caltex petrol station. The Agnes Water main beach is always bustling with activity but due to the length of it (5.5 kilometres!) you never feel crowded and can always find a nice and quiet spot. Each weekend the local Agnes Water Tavern hosts a range of musicians with their live music events and a menu with excellent $15 dinner specials (click on website link below for line-up). Courtesy bus available Thursday – Sunday from 5pm. Every Friday, get your shoes off and head to the local 1770 Bowls Club for a fun game of barefoot bowls. Lady Musgrave Island Day Cruises, Lady Elliot Island Day Flights, 1770 LARC! Tours, Scooteroo Motorcycle Chopper Tours, Electric Kayak Sunset Tours, Golf, Tennis, SUP, Kitesurfing, $17 surf school, Kayaking, are daily activities from Agnes Water and the Town of 1770. Turtles are hatching every year from our Agnes Water beaches and Deepwater National Park, which are breeding grounds for Loggerhead turtles. They come to lay their eggs between November to February each year, with the hatchlings making their way back into the ocean from January through April. A beautiful national park with great rock and beach fishing. There’s lots of fabulous walks in 1770 and Agnes Water including the Paperbark Forest, 1770 Butterfly Walk, Red Rock Trail, 1770 Headland, Agnes Headland. Call in to the Discover 1770 Shop for a free map & go explore some of the great walking trails. Enjoy a leisurely walk through the outdoor art gallery and gardens. Meet multi award winning artist Kent Barton. This is a unique experience in Agnes water (Australia, and possibly the world). Currently, postcards and magnets are available from the Discover 1770 Shop (next to the Caltex petrol station). During the earlier months of the year (March-June), the 1770 Butterfly Walk is overwhelmed with thousands of butterflies! The walk is a very beautiful and easy 20-25 minute walk from the Captain Cook Monument in the Town of 1770 to the 1770 Lookout Car Park. To get there it’s a 5 minute drive from the main town, a 30 minute bicycle ride (hire bikes available from the Discover 1770 shop), or a $25 (approx) taxi ride one way. 3 hour lesson, everything included (board, rashie or wetsuit, and instructors) – only $17. Or get the surfing package of a 3 hour lesson with up to 5 digital photos for only $37. No need to book, just turn up at the Reef2Beach Surf Shop on Round Hill Road (next to the Discover 1770 shop). They run daily and are world-famous! 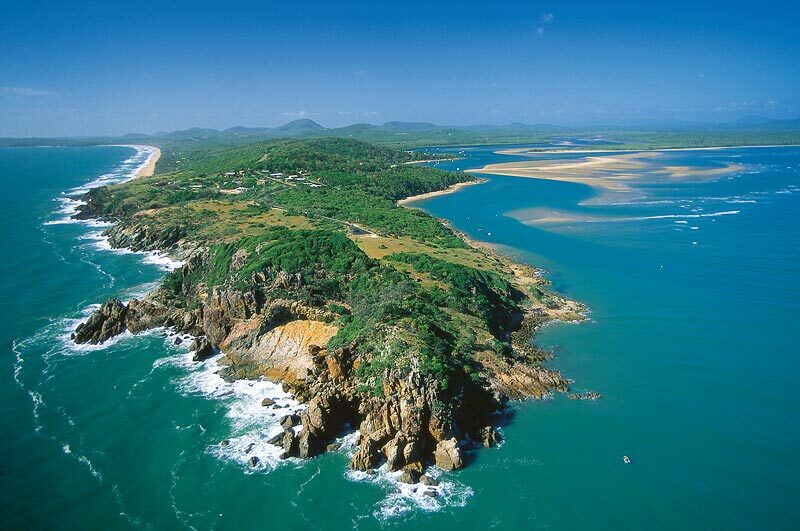 Explore the beautiful area of Agnes Water and Town of 1770. Look for kangaroos and other wildlife, find great walking tracks, see the Captain Cook monument, enjoy breathtaking views from the 1770 Headland. Bike hire available from the Discover 1770 shop. $20 for four hours or $30 for up to 24 hours. Hire from the Discover 1770 Shop. $15 includes map, snorkel, mask and carry bag. Extra $5 for fins. Great range of cards, games, jigsaw puzzles, toys & books available from the Discover 1770 Shop, Agnes Homewares, Agnes Water Newsagent, Agnes Water Op Shop and the Agnes Water library. Feed the fish with $2 bags of fish food from the 1770 Marina Cafe at the 1770 Marina on Captain Cook Drive, Seventeen Seventy. Visit the Agnes Water Museum – $3 entry fee, children free.